Seasoned IT Professional that loves sharing ways to make technology easier to use and understand. The holiday season is prime for scammers and hackers out there. Here are some tips to help you prevent that from happening to you. 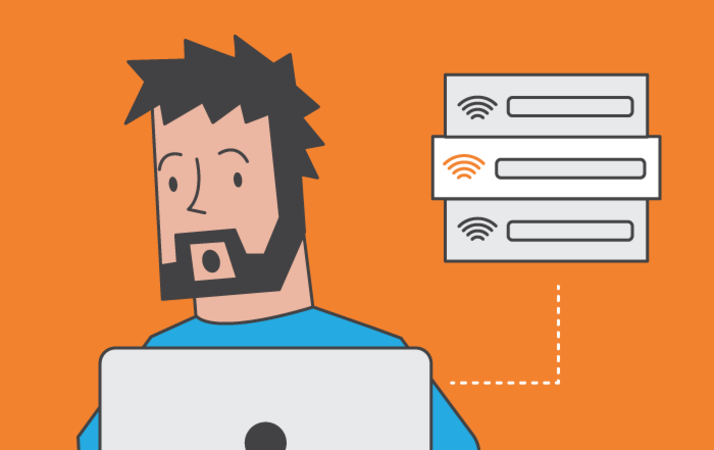 Hackers who do not have direct access to your computer can get into your system through your Internet connection. One way to get in is via an open network port. A firewall controls all traffic that passes through your network ports, whether it’s coming in or going out. 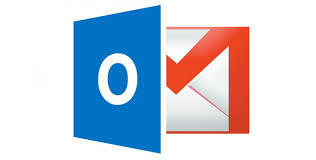 The software acts like a gatekeeper and allows you to decide which programs get to send and receive information. 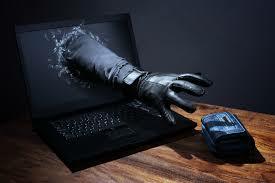 A person who has access to your network can intercept your network traffic and possibly gain access to sensitive data. Hence, it is imperative to change the default login information of your router and set a network password for your local WiFi. Possibly the easiest way for a hacker to sneak into your system is by using malicious software installations authorized or performed by the naive user. In some cases, the user doesn’t even need to authorize anything, as the spyware auto-runs and installs itself as soon as the user opens a file or allows a script to run off a website. Anti-malware software can protect your data by detecting malicious activity on your computer and preventing an infection. The only thing you can do to protect online accounts, such as your webmail or online banking, is to choose strong passwords, a different one for each and every account, and then change your passwords often. This is hard, but for accounts that contain sensitive information, such as personal data or credit card numbers, it is incredibly important. When storing sensitive data on your hard drive or on an external storage device, encrypt it. This way it is hard to access, even if a hacker does gain access to your computer and manages to copy data. An excellent free open source tool to encrypt data is TrueCrypt. The Internet is just too convenient not to be used. It’s fun and easy to sign up for new accounts, participate in contests, shop from your couch, and plan your vacation. Every time you use such a service, you reveal a bit of personal information: your name, address, personal interests, banking details, and when you will be away from home. This information is highly valuable! To protect your personal information when using online services, be sure that data is exclusively submitted via an encrypted secure connections (SSL/TLS protocol). You are dealing with a secure connection when the URL in your browser starts with https:// instead of http://. Presently, you can set Facebook, Gmail and Twitter to constantly connect through HTTPS, which increases the security of exchanging information through these sites. Most programs have bugs and the worst of them are security holes. To fix bugs, software developers provide patches and software updates. Updating your operating system, your drivers, and all installed software thus is not a question of accessing new features, it’s a matter of keeping your system safe and functional. Before you dispose of hardware that previously stored personal information, for example hard drives, USB flash drives, memory cards, or DVDs, either physically destroy the item or overwrite the entire drive. Deleting files or formatting a drive alone is not sufficient. Hackers will be able to restore the information. You must overwrite the storage space with random data. Don't allow unsolicited callers to connect to your computer. There has been a rise in fake calls from companies stating that your computer is infected and they need to connect to it to resolve the issue for you. They have no way of knowing that legally. If they start giving you information that is on your computer or giving your your user names and passwords, that means they are the hackers and you need to get their information and tell them that you will have your IT person run scans and contact them. Call us immediately if this happens to you. Call LDC Tech Support for assistance. There is no better way to start the day than with a bit of humor. Click this link to enjoy 10 funny and cleaver wifi names. 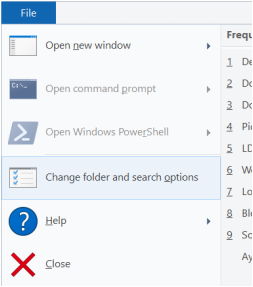 When you open up the Explorer to look for your files, by default it is set to open to 'Quick Access' which shows you your frequent folders and recent files. If you want to change it so that it opens to 'This PC' which shows you your main profile folders, devices and drives; I have listed the steps below. Click on the down arrow to the right of 'Quick Access' and select 'This PC'. You will now go to 'This PC' when you open a new Explorer window. I have found Windows 10 to be a great combination of Windows 7 and 8.1. I wasn't a fan of 8 but Microsoft has finally found a way to make an OS that will work on different device platforms; phone, tablet, laptops and desktops, while bringing back the ascetics we all know and love from Windows 7. We are no longer forced to use the Start Screen and by default, get our beloved desktop back. 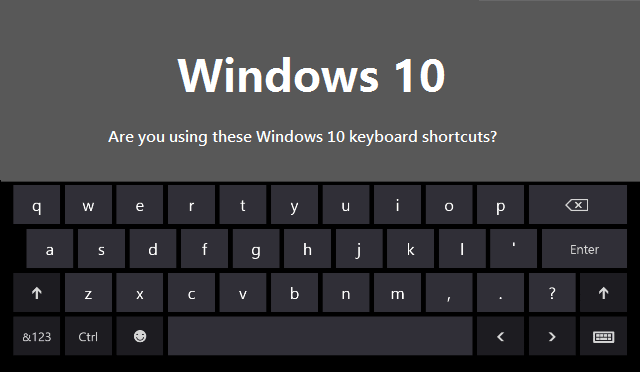 Since it is obvious that Microsoft is pushing us all forward to Windows 10, I thought I should share some of the keyboard shortcuts that can make your experience even smoother. 1. Windows Key – Simply pressing the Windows key will bring up the Start Menu with its mix of Windows 7 and Windows 8 styles. I use this shortcut the most often because you can just start typing the name of an application or Store app or computer setting and then press Enter to open it. 2. Windows Key + D – Hold the windows key and tap D. This will minimize all of your active windows and show your desktop. Do it again to get back to all of your active windows. 4. Windows Key + E – This Opens Windows Explorer. Not to confuse it with Internet Explorer. Windows Explorer allows you to browse your files. By default Explorer is set to open to 'Quick Access' which shows you your frequent folders and recent files. If you want to change it so that it opens to 'This PC' which shows you your main profile folders, devices and drives; click here for instructions. 5. Windows Key + R – This will bring up the Run dialog box, which lets you quickly run commands like cmd ​to open the Command Prompt, winword to open MS Word or iexplore to open Internet Explorer. 6. Windows Key + Tab – This will show you a thumbnail of all open programs on the current desktop and also a small thumbnail of each desktop at the bottom. You can use the arrow keys to select a different program on the active desktop. 7. Windows Key + I – Opens the Windows 10 Settings dialog where you can configure the network, backups, WiFi, privacy, security and lots more. 8. CTRL + Windows Key + L/R Arrow – This shortcut allows you to switch between desktops quickly using the right or left arrow keys. Hold CTRL + Win Key then tap the left or right arrow to change desktops. 9. Ctrl + Shift + Esc – This will bring up the new Windows 10 Task Manager. 10. Windows Key + X - This is one of the shortcuts I use the most. It brings up the Start Menu Context Menu. Here you have links to Programs and Features, Power Options, Event Viewer, Device Manager, Control Panel...and more. Contact Us to Assist you with your Tech Support needs!